In the extremely important photograph above featuring top members of the administration of Barack Obama, we see a theme repeated over and over and over again with each member's lips telling a story which they'd never voluntarily tell. Pursed lips which are pulled inwards from all directions are an indication of tension and may indicate frustration or disapproval. Pursed lips are a classic sign of anger, including when it is suppressed. It is effectively holding the mouth shut to prevent the person saying what they feel like saying. This may also be an indication of lying or withholding the truth as the person stops themselves from telling the truth. Pursed lips can also indicate a person who is thinking and who is deciding between possible options. Deciding and disapproval are both evaluative actions, which is the common core of lip-pursing. After linking to this April 6th story at the Daily Mail titled "What is Mark Zuckerberg hiding? 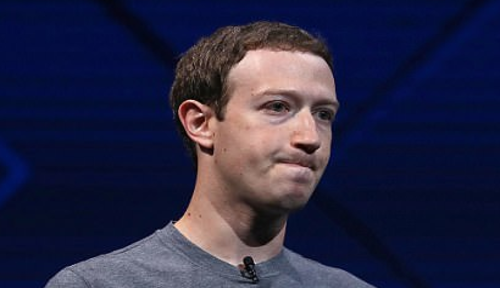 Facebook uses secret tool to delete founder's private messages from other people's inboxes", Steve Quayle left the following SQnote: "Note his lips and glare - reverting back to programmed response". As they all seemingly do when caught up in a lie. With the integrity and credibility of both the Department of Justice and the FBI, what is supposed to be our nation's most pre-eminent law enforcement agency, under fire with the Trump-Russia collusion narrative quite literally exploding in the faces of those who created it as part of an 'insurance policy' after President Donald Trump decimated Hillary Clinton's dreams in November of 2016, things are getting very interesting as we move forward in 2018 and 'truth' begins to come out from unexpected places. 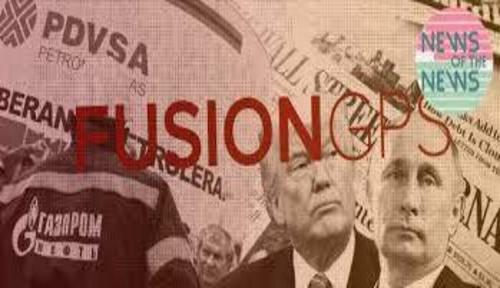 Truth such as we hear from former FBI agent Terry Turchie, who joins Tucker Carlson and Fox News in the 1st video below and drops a bombshell upon us, telling Carlson that a great deal of evidence exists that the 'REAL collusion' took place not between President Trump and Russia, BUT between the Democratic party and Russia, with communist agents from Russia, China and Cuba likely heavily infiltrating the Democratic party over the last several years and even decades. Turchie also tells Carlson that the very heads of the Justice Department, FBI and CIA had conspired against President Trump, throwing away their loyalty to America (treason?) to help Hillary Clinton get into office and when that failed, doing everything within their power to strong arm President Trump and make his life and job more difficult, thus putting all of America in danger. And while some of the information shared by Turchie might not come as a surprise to those who've long been paying attention to the globalists plans to neuter the sovereignty of America, while melding our nation into another part of the burgeoning socialist borg, the rights of conservatives in the UK and throughout the European Union to speak freely are being stifled. Meanwhile, the UK cements their descent into tyranny by allowing young Alfie Evans to die without even allowing his own parents to take him somewhere else where he might be treated as America approaches a crossroads from which there may be no turning back. Founded in 1866, the Ku Klux Klan (KKK) extended into almost every southern state by 1870 and became a vehicle for white southern resistance to the Republican Party’s Reconstruction-era policies aimed at establishing political and economic equality for blacks. In the aftermath of Charlottesville, an awful lot of awful things have been said about Republicans and race relations. However, the Left's accusations of racism couldn't be further from the truth that has played out in the halls of Congress over the last 150 years. It is shocking that as talk of statues and historical racism is being bandied about, no one has mentioned the Democrats' utterly shameful treatment of African Americans throughout history. Over the last 100 years, Republicans have stood up for African Americans while Democrats not only stood on the sidelines, but in fact served as obstructionists to civil liberties. 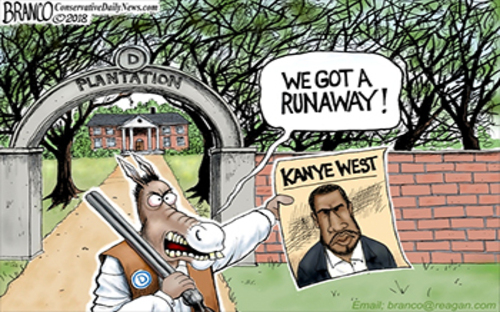 With this new emergence of Conservative African Americans led by amazing people such as Diamond and Silk, Candice Owens and now even Kanye West making waves and shattering typical stereotypes, will even more black Americans finally awaken for good and 'break the spell' they've long been living under? 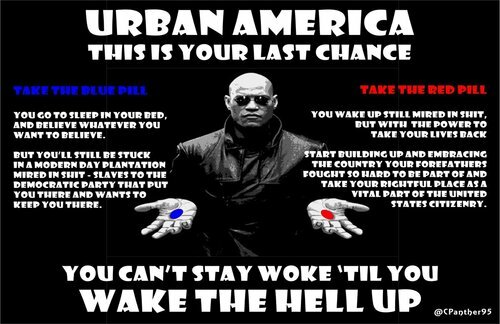 Should even 20% more black Americans realize that the Democratic plantation that they've been slaving upon is the very worst possible thing for them by metaphorically 'swallowing' the 'red pill' that so many others have recently swallowed, the D's are in huge trouble. And if this new story from Zero Hedge is any indication, while the 'great awakening' may not yet be viral across America, nearly a million Americans have 'had it' with the increasingly socialist blue states of California and New York, where over 800,000 are expected to flee over the next 3 years, following more than 3.5 million over the past decade leaving those high-tax, imploding states for low-tax red states such as Arizona and Texas. And while Clinton spokesman Nick Merrill claimed that Campbell's statement was just an attempt by the Trump administration to distract Robert Mueller and the American public from the 'real collusion' that the Democrats continually attempt to put upon President Trump, it's obvious to those paying attention where the 'real collusion' was. 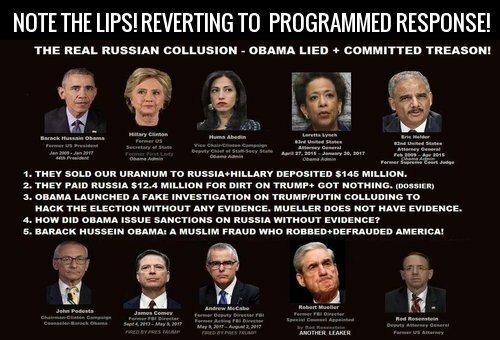 While talk of treason has been thrown around continuously surrounding Obama, Clinton, James Comey, Loretta Lynch and Susan Rice, for the DOJ and FBI to fully regain their standing and integrity, the former 'elite' will have to fall. "The full-throated adoption of this illegal misconduct and abuse of FISA by James Comey, Andrew McCabe, Sally Yates and Rod Rosenstein is not just criminal but constitutes treason," Gosar wrote in a statement. Gosar said he would urge Attorney General Jeff Sessions to seek "criminal prosecution against these traitors to our nation." Treason under the Constitution is punishable by death. And while much of the 'independent media' struggles just to 'stay alive' and online, with liberals now attempting to take away the 1st Amendment from Alex Jones while claiming 'conspiracy theories' may not be protected speech (note to NWO: you'll have to kill me to shut me up! ), Bill Gertz reports today over at the Washington Free Beacon that anonymous donors have donated $50 million to anti-Trump researchers to continue to try to dig up more dirt on President Trump. The heavily redacted final report of the House Permanent Select Committee on Intelligence said the panel is continuing to probe efforts by former British intelligence officer Christopher Steele, author of the discredited anti-Trump dossier, and the research firm FusionGPS that hired Steele on behalf of the Democratic National Committee and Clinton campaign during the election. 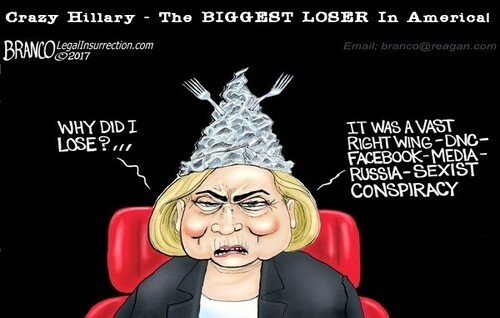 While 'crazy Hillary' still scatters blame for her November 2016 loss in EVERY direction except for the one direction where it should be cast perfectly representing the 'victimhood mentality' of many on the left, for the DOJ and FBI to fully regain their now tarnished reputation while restoring their integrity, they'll have to get to the bottom of this all. And should 'the truth' find that President Trump colluded with Russia to steal the election away from Hillary Clinton, then the American people deserve to know that truth. Yet should the truth be something far more sinister, and deeply implicate Hillary Clinton and the 'Clinton crime family', the American people deserve to know the truth as well, no matter how shocking that might be to some. Simply having absolute proof that Hillary and the DNC conspired to take the Democratic party nomination away from Bernie Sanders according to former DNC chairwoman Donna Brazile gives us a taste of what she is capable of. We will close with this extremely important excerpt from Greg Hunter's USA Watchdog and his recent interview with former CIA officer and whistleblower Kevin Shipp which sums up everything that we've been witnessing ever since President Trump was elected and explaining exactly why America is still in such danger as a 'Constitutional crisis' the likes we've never seen in America continues to unfold in the days and weeks ahead. You can the entire interview embedded as the final video below. On Friday, Shipp and other retired top officials at the CIA, FBI, DOJ and NSA held a press conference and demanded Attorney General Jeff Sessions prosecute top Obama era officials for obvious crimes against the incoming Trump Administration. 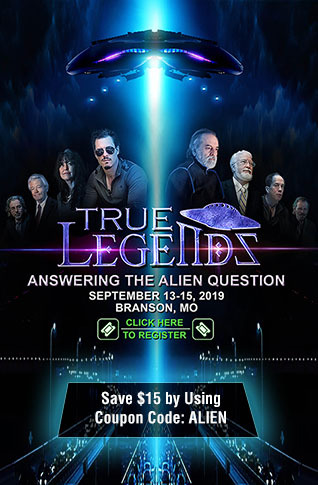 Shipp says, “We have a coup within our government right now at the senior levels at the CIA, DOJ and the FBI attempting to unseat a duly elected President who was elected by the American people and remove him from office. 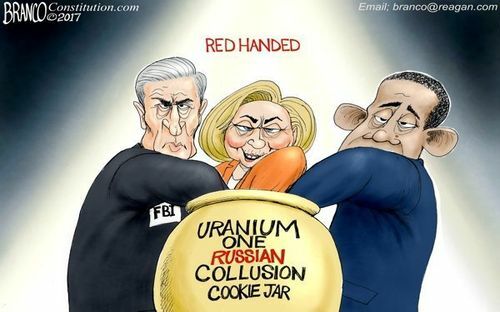 . . .This is, at worst, treason with senior officials in the shadow government or Deep State . . . to attack Donald Trump and remove him from office."